Dental health is a collaborative effort. You need a dentist’s help to stay healthy and cavity-free, but we need your help to know what’s working, what your plans are for your teeth, and more. You should be coming into our Alma, MI dental office twice each year. Your visit is a perfect time to ask the following questions. How do my gums and cheeks look? Of course, Dr. McDonald and the team here at our office will examine your teeth for any signs of cavities or similar damage. But there’s much more to dental health than just teeth. For example, we will check your gums for any evidence of periodontal disease, including tenderness, swelling, and bleeding when gently probed. We’ll also look for any early signs of oral cancer since early detection is so important to beating that disease. Be sure to ask if your gums and the inside of your mouth are healthy. Am I brushing my back teeth well? Everyone knows they need to brush and floss regularly, but sometimes it’s hard to reach the molars in the back of your mouth. This is especially true for your wisdom teeth. Those are so far back, it’s often difficult to reach them with a toothbrush. You could be leaving behind food particles that harmful bacteria love to eat. If your back teeth are showing signs of accidental neglect, you might need sealants, fillings, or even a wisdom tooth removal. Are there any side effects? Your body is a complex machine. Making changes to one part can make changes to other parts. That’s why you should ask Dr. McDonald if he expects any side effects from a certain treatment or procedure. Oral sedation is a great way to beat dental anxiety, but you can’t drive before or after taking the medication. Will this treatment affect any future dental work? You may have plans in the back of your mind for future work. 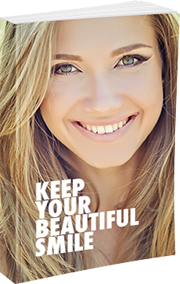 You might be planning on getting your teeth whitened. Or you could be thinking about replacing a dental bridge with an implant. Some treatments can impact your future plans, so be sure to ask Dr. McDonald whether the work currently planned will make any other work harder or easier in the future. For example, there’s no point in matching a dental crown to your current teeth’s color if you plan on changing that color in the near future. Is there anything I need to tell my family doctor? Your dental heath is an important part of your overall health picture. What happens in your mouth can affect the rest of your body. Dr. McDonald is a general dentist, so he knows how to treat a wide range of dental problems. But there are things that only a physician can handle. Make sure you ask Dr. McDonald if there is anything you should contact your family physician about, such as any signs of oral cancer or gum disease. Do I need to make any changes to my diet? We know to avoid sugary foods like soda and cake because they’re bad for our teeth. But we do not know what you eat and drink on a regular basis. What you consume affects your teeth, so be sure to ask Dr. McDonald if he sees any reasons to make changes to your diet. For example, many people do not realize carbohydrates contain sugar. If you eat lots of bread and rice, you could be giving harmful bacteria the energy-laden food they love. 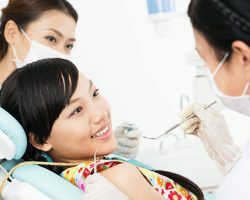 How can I better prevent cavities and problems? One of the reasons for regular dental cleanings and exams is to make sure your teeth are free from tooth decay and cavities. Dr. McDonald will give your teeth a thorough exam to look for any problems, but only you know what you’ve been doing at home to keep your teeth healthy. Be sure to ask Dr. McDonald about your current state. This way, you can see if you’re doing a good job brushing and flossing at home. Will my current medications affect my dental treatment? Some medicines can interfere with dentistry treatments. For example, taking a low-dose aspirin daily can thin your blood, making oral surgery a problem. Be sure to go over your current medications with Dr. McDonald and make sure what you’re currently taking won’t be a problem. Call us today at (989)-796-4848 for your next appointment. Make sure you ask these questions and any others you may have.